The Frost Chopin Academy offers pianists up to the age of 29 specialized lessons, workshops, and more with each of our master teachers. Hurry! Application deadline is March 1, 2019. 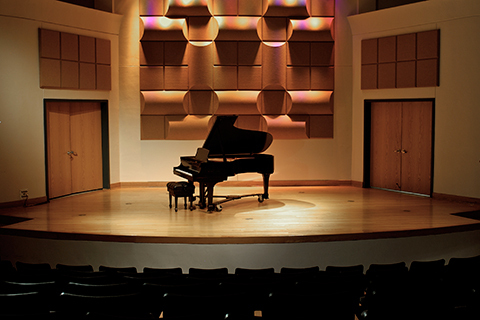 The Department of Keyboard Performance at the Frost School of Music is a dynamic center for professional performance study music scholarship. 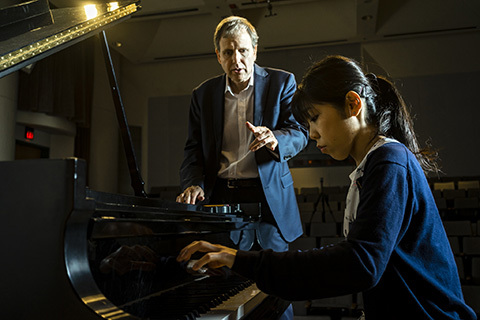 Under the guidance of a world-class faculty, piano students receive individual mentoring directed towards preparing them for a life in the music profession. Many of our students have performed in important venues such as Carnegie Hall, and received top awards at international competitions. 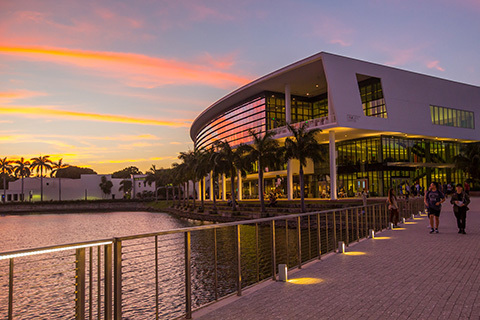 We invite you to join our family at the renowned Frost School of Music. 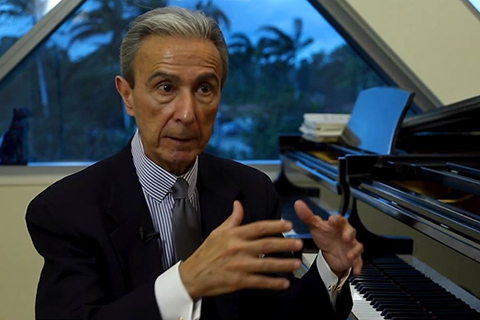 Santiago Rodriguez is the Professor and Chair of the Keyboard Performance department at Frost. 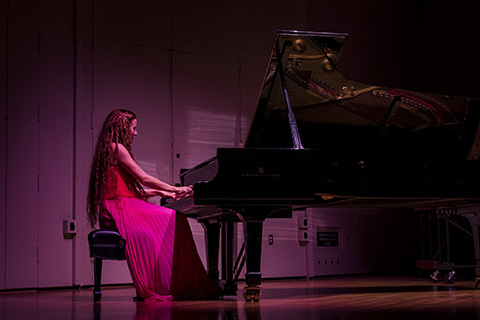 Professor Rodriguez has been hailed as "a phenomenal pianist" by The New York Times and singled out as "among the finest pianists in the world" (according to The Baltimore Sun). In the video, he discusses what he looks for in a student. Piano continues to be an ubiquitous instrument in our culture. Its presence in many genres makes piano an important part of any musician’s toolkit. Some musicians want to focus on piano as their primary instrument, or learn the ins-and-outs to help them compose. Other piano students are seeking to compete on a high tier. 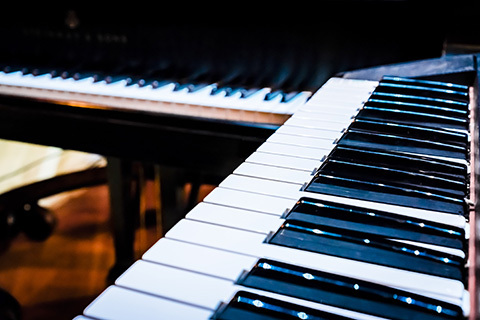 Although it is possible to succeed in some piano performance fields without a degree, attending a school of music for a keyboard performance degree can help you secure the network, mentors, and technical skills necessary to excel. 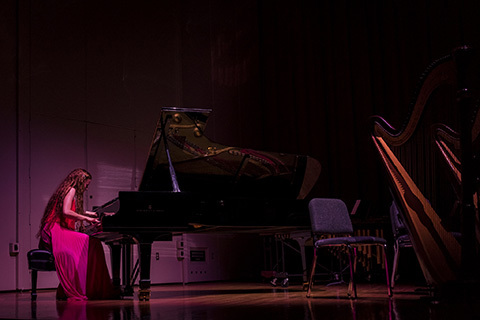 It’s important to pick a school of music with a keyboard degree with a reputation for producing successful alumni who have a well-rounded set of performance skills, technical ability, and know-how regarding the business of music. What Will I Learn in a Piano Program? Private lessons. Working closely with faculty mentors will take your skills to the next level. Group lessons. Peer learning is one of the best ways to achieve high levels of collaboration in music school. Ensembles. Working in tandem with other musicians is an essential skill for any music student. Theory and technical knowledge. 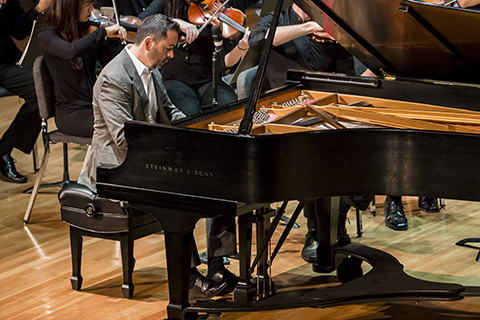 Pianists are known for their technical expertise and theoretical foundation. Music business acumen. Every successful musician has the entrepreneurial spirit to back up their musical goals. Performance experience. 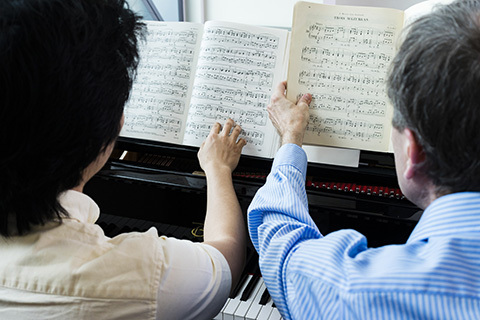 One of the signature elements of piano education is the opportunity for performance. Though keyboard instruments have existed for many centuries, the existence of the piano reaches back to the 18th century. This is a relatively young lifespan for such a ubiquitous instrument. At the advent of the piano, music schools existed to teach musicians and composers to make music for religious purposes. Over the years, many famous composers and pianists were also teachers, and some piano teachers are famous for their teaching alone. Famous piano teachers include Maria Szymanowska, Frédéric Chopin, Heinrich Neuhaus, and Abby Whiteside. With the advent of higher education in America in the late 19th and 20th centuries, schools of music bloomed all over the United States. These days, people from many walks of life pursue the piano in a variety of genres, from classical to jazz to pop. Why Pursue a Degree in Keyboard Performance? It takes time and discipline to learn—and eventually, master—many of the key skills of piano without a degree. 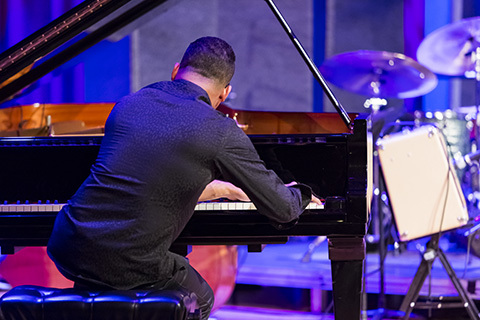 Achieving a degree in piano performance gives you the credential to gain noteworthy knowledge and mentorship from award-winning experts in the field and to establish essential connections to other professionals. A professional network of musicians is one of the greatest benefits of attending music school. 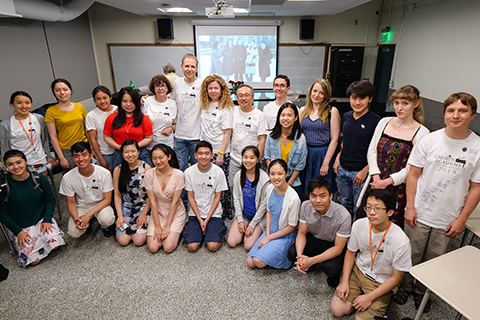 You will also gain the valuable experience of working closely with small groups of students to learn how to collaborate, an important skill in any musical field. 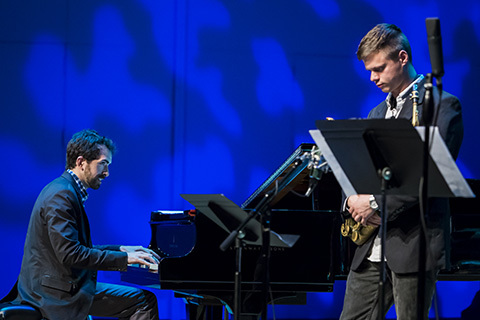 At the Frost School of Music, students are encouraged to collaborate across programs and departments and participate in other focus areas, for example, composition and the musical theater programs. 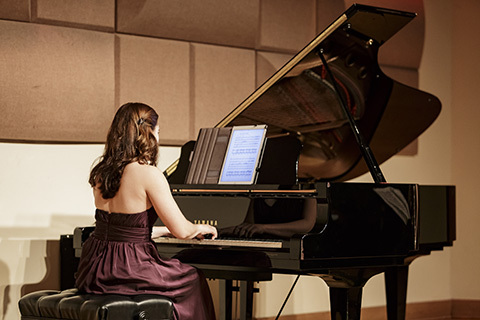 What are the Elements of a Piano Performance Degree? This is where a piano performer learns and grows. You will work closely with an experienced professor who will help you identify your strengths and areas of growth. Weekly lessons help you to achieve at a high level. No matter your genre, improvisation is a skill that helps your overall playing ability. 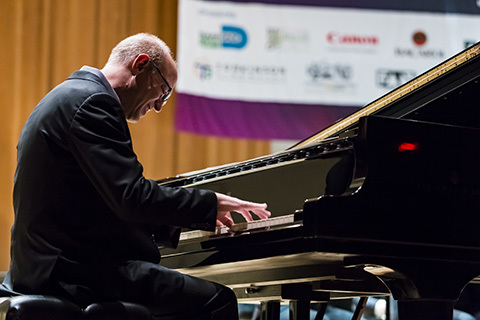 Piano performance curriculum will train you in improvisation techniques which you can integrate into your playing in a variety of ways. Ensemble experience is essential for any music student. As you work with other musicians, you will not only learn from their playing and their approach to the music, you will learn about yourself as a musician. Ensembles are notably different from individual work, and each practice will strengthen your skills in the other. What Skills Will I Learn in Piano Program? It’s in your interest to achieve a foundational understanding of marketing, contracts, the economics of the music business, how music industries work, and other entrepreneurial skills. No doubt, these areas will come into play as you continue your career. Music production skills are helpful whether you are interested in music production as a career, a side gig, or just want to focus on teaching or performance. Technology experience is invaluable. Discovering your collaboration and leadership styles will help you in many areas of life, not least, performance. Even if you perform solo, you will need to work with managers, venues, sound engineers, and other professionals. Good collaboration skills are worth their weight in gold. Choosing a Piano Program: What Should I Consider? Are the faculty top players in their field? Are they practicing musicians? Does the school exist within a thriving music scene? Are there surrounding venues I can gain experience at? Does the location suit your physical and atmospheric preferences? Entering an alumni network is a valuable part of graduating from any institution. Are the alumni connected to the school? Do the faculty maintain relationships with them? Are the alumni accomplished in their field? Each program takes a slightly different approach to pedagogy. Some schools tend to funnel their students into silos, while other schools encourage students to take classes in a cross-section of areas. You are the one who knows yourself best. What kinds of learning environments do you thrive in? You can listen to someone talk or play forever, but if that was all it took to become great at piano, the population would be full of expert pianists. As you look at a school, consider whether they offer you the hands-on experience necessary for you to graduate at a competitive tier. This involves not only performance, but also composition and ensemble work. The more time you spend in front of a keyboard, the better musician you will become. How Do I Find the Piano Performance Program That is Right for Me? 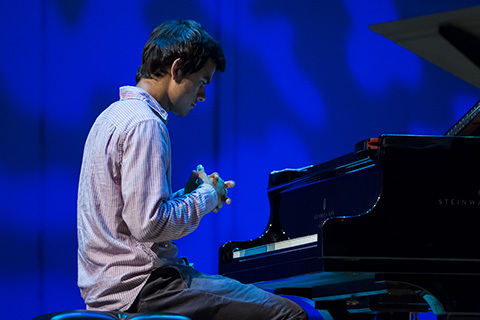 Pursuing a degree in piano performance is an important step on the road to becoming an accomplished pianist. What are your personal goals for attending a piano performance program? Do you want to become a top performer who wins professional competitions? Do you want to enter music education or become a college professor? Do you want to pursue music therapy or music production? Make sure that you choose a school that offers a concentration and a variety of learning opportunities. The Frost School of Music uses the Frost Method™, a deliberately experiential approach that helps you learn in classrooms as part of small group ensembles. It provides you skills in piano as well as marketing, communications, improvisation, critical thinking, composition, engineering and much more.